It turns out that the ideas behind the Arab Spring still have some life left in them. As you look at the latest pictures of triumphant popular protests in Algeria and Sudan, spare a thought for the late Jamal Khashoggi. Before his brutal death at the hands of a Saudi hit squad six months ago, the exiled regime critic (and Washington Post Global Opinions columnist) wrote eloquently about the Arab world's longing for democracy. In his last column for The Post, he bemoaned how the lack of freedom in most of the region's countries left their citizens "either uninformed or misinformed. They are unable to adequately address, much less publicly discuss, matters that affect the region and their day-to-day lives. A state-run narrative dominates the public psyche, and while many do not believe it, a large majority of the population falls victim to this false narrative. Sadly, this situation is unlikely to change." If Khashoggi were around now, I'm sure he would be happy to admit that he appears to have been wrong about that last part. The euphoria of the demonstrators in Khartoum and Algiers shows that he was right on the larger issue. Many citizens in North Africa and the Middle East are sick of tyranny and long to participate in the shaping of their own societies - contrary to what Khashoggi rightly called the "old racist statement" that "Arabs are not ready for democracy [because they are Arabs]." And it turns out that the popular uprisings of 2010-2011 were not the dead end some have portrayed them to be. Today's activists know very well that the toughest part comes next. That's partly because they're building on the hard-won experience of their revolutionary predecessors around the region. In both Sudan and Algeria, the military has played a key role in deposing hated dictators. Now the pro-democracy forces there face the tough job of ensuring that the generals don't follow the example of Egypt, where the army at first helped the demonstrators to overthrow Hosni Mubarak - only to later topple a democratically elected government dominated by Islamists and institute a new military dictatorship even harsher than the old one. Here, too, Khashoggi offered some vital insights. In his youth, he was a fervent Islamist. In his later years, having witnessed the horrors committed by extremists, he tempered his sympathy for religious activism with an awareness of the need to ensure fundamental human rights (including equality for women), freedom of expression and religious tolerance. He knew that many in the Arab world would choose Islamists when given the chance to do so in free elections, and that such a choice ought be honored and respected - yet he also criticized radical Islamists who showed only contempt for democratic values. That's why he sang the praises of Tunisia, where the Arab Spring revolts began and where democracy has so far managed to survive, not least because the Ennahda Party, the Tunisian Islamists, opted for pragmatism and moderation (including power-sharing with their secular rivals in the first post-revolutionary governments). Khashoggi realized that a liberal Arab future might well depend on bridging the gap between Islamists and secular democrats. "He was trying to begin a new way to bring different activists together," Ahmed Mefreh, an Egyptian lawyer and dissident, told me recently. "He talked to [members of the Muslim Brotherhood] about their problems after the Arab Spring. He gave advice to liberals about how to connect with Islamists." Mefreh, who runs the Committee for Justice, a Geneva-based group aimed at defending human rights activists in the Middle East, explained that the Saudi royal family saw this approach as especially threatening. Those like Khashoggi, who can bring together the religious activists and the liberals, "are very dangerous to the dictatorships. Why? Because this is exactly what they're afraid of," he said. "The future belongs to people who can do that. If we can manage that in Egypt, we can change the regime." Khashoggi was not the only one to see this as a crucial task, Mefreh told me; he was merely one of the best-known. Mefreh cited former Egyptian presidential candidate Abdel Moneim Aboul Fotouh as another example of someone working toward the same end. Aboul Fotouh, an alumnus of the Muslim Brotherhood, generated considerable respect among Egyptian voters for his efforts. Under Egyptian President Abdel Fatah al-Sissi, however, he has spent two stints in jail and has been included on a government terrorism list. There is little evidence that Aboul Fotouh has anything to do with terrorism, but it is clear that this is a man the regime clearly does not take lightly. 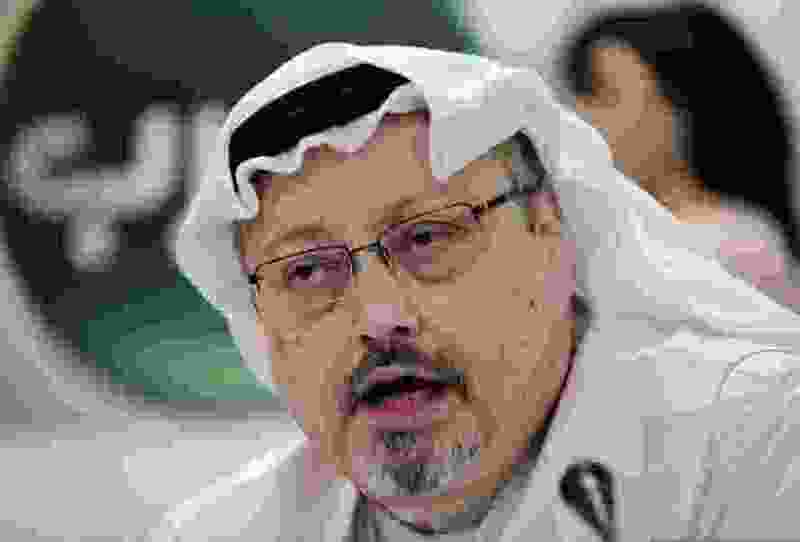 Before his death, Khashoggi was trying to set up several organizations to promote the cause of democracy in the region - particularly one that aimed, among other things, to provide “a counter narrative in the Arab world and the West to Arab Spring skeptics.” The events in Sudan and Algeria show that this idea lives on. We’re seeing that multitudes in the Arab world are still willing to put their lives on the line for the sake of political change. Surely they deserve whatever support we can give them.